James Bond - The Secret Agent: Global James Bond day: Best photo! A funny thing happened last night. I dreamt that I was invited to a meeting with Barbara Broccoli and Michael G. Wilson and the rest of the team at Eon Productions. I actually have been to such a meeting back in the day when they were shooting Die Another day. 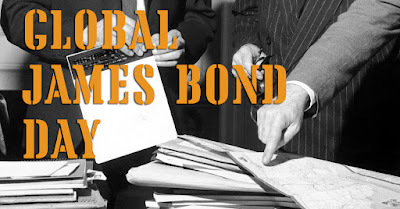 After such a night I got really surprised when I woke up to find out that it was actually Global James Bond day today. Global James Bond day has its origin in the first film release of Dr. No in UK on October 5th 1962. So today Facebook and Instagram have been flooded buy people wishing to salute the worlds lest secret agent. And so will I. What I wish to do is to share my favourite picture from the creation of the first film. It is below and is a promotion photo taken of the two producers, Albert R. Broccoli and Harry Saltzman together with their lead actor Sean Connery and one and only true inventor of the whole thing, Ian Fleming. I believe I have read somewhere that these photos were only produced for publicity. 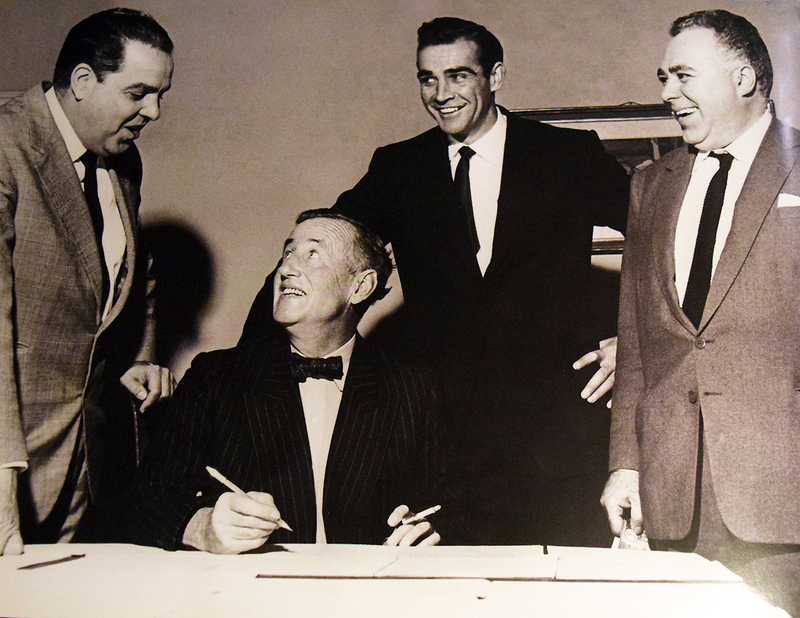 Below the first picture is a second picture made to look like Ian Fleming is signing a contract there and then. This was of course done long before Sean Connery joined the team and also Saltzman was the sole owner of the rights for some time before Broccoli showed interest. Any reader who has a favourite photo connected to James Bond. Please share below! Notice the pre Bond photo of Sean Connery on the table.